Houses are built with certain factors in mind; how big the family will be, what rooms are needed, how much the home owner can afford, and other considerations. Over time furniture can change, more members of the family will be living in the house or something needs to be improved. What doesn’t change over time, however, is the importance of the foundation to the home. In order to withstand changes and the inevitable wear and tear over time, home owners must continue to invest in the foundation and upkeep of the structure of the home. How a country plans and designs for food security is very similar. In rapidly developing countries, like Kenya for example, new demands on agriculture, governance, and infrastructure put stress on existing systems to manage change. In Kenya, agriculture is linked to nearly half of the country’s GDP and employs over 40% of the total population of 48 million people. Nearly the same number, 40% of Kenyans are food insecure. By the year 2039, Kenya’s population is projected to grow to 81 million people. To ensure long lasting agricultural transformation takes place, a country needs to have the basic and fundamental capabilities to organize and manage its own affairs. This requires engaging actors in planning from all levels – from civil society organizations to the national government to youth and farmer organizations. Without the capacity to undertake transparent, inclusive, predictable, and evidence-based policy planning, a country can struggle to achieve basic, let alone sustainable, improvements in food security. 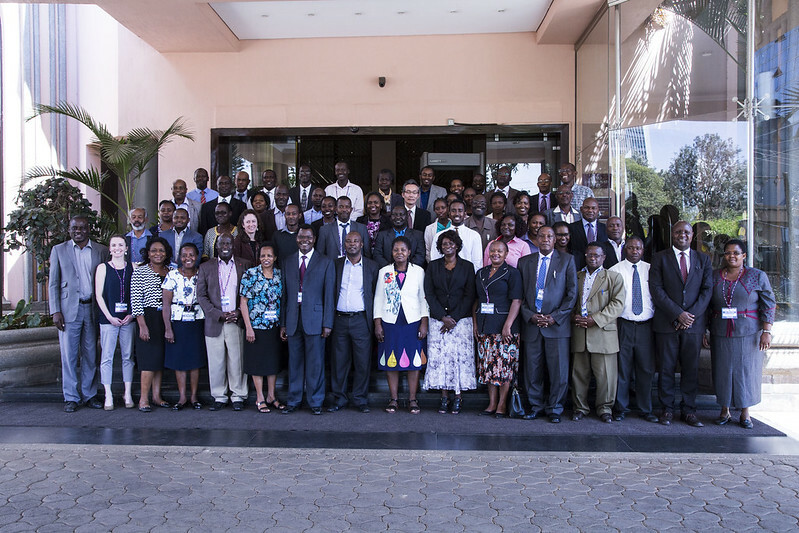 In February 2018, in partnership with the Kenya Ministry of Agriculture and Irrigation, the U.S. Agency for International Development (USAID) and Africa Lead (one of Feed the Future’s food security capacity building program for sub-Saharan Africa), held a two-day workshop to assess Kenya’s agriculture “institutional architecture” (IA). As part of the meetings, 75 stakeholder participants joined forces to take stock of Kenya’s IA, with representatives from Kenya’s government ministries, departments, units, and agencies; farmer organizations; civil society organizations; private sector partners; and the donor community, including USAID’s Bureau for Food Security (BFS). By the end of the meeting, participants co-developed an action plan with recommended activities to improve IA in Kenya. These recommendations will inform the final action plan currently being drafted by the technical advisory committee. With various levels of government and civil society stakeholders participating, the event influenced actors throughout the policy ecosystem, not just at the top of the ministry. As a result of this collective effort to contribute to Kenya’s food security future, it’s clear the foundation for success is getting stronger by the day.